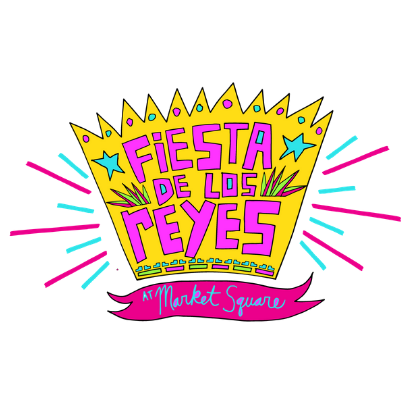 This is the ninth year the Rey Feo Consejo Educational Foundation and City of San Antonio partner to produce Fiesta de los Reyes at Market Square, a culturally-rich celebration featuring daily and nightly live performances, a wide variety of delicious cuisine and exciting family-friendly events. The event is an Official Fiesta Event! The event opens at 10 AM and closes at Midnight. Saturdays till 1 AM. Admission is free! 2019 Fiesta De Los Reyes is Presented by Bud Light San Antonio and by Rey Feo Consejo Educational Foundation. At Fiesta de los Reyes you'll experience daily live entertainment from multiple stages featuring a variety of music, including the best Tejano and Conjunto, Latin jazz, and Country Western. You'll also love singing and dancing to hits from the 80s, 90s and today, played by some rockin' cover bands! Enjoy Mexican cuisine, Cajun shrimp, hamburgers, fresh fruit drinks, funnel cakes and new delicious Fiesta treats. Your taste buds will have a fiesta as you enjoy food from over 30 delicious food booths! You might run into this year's Rey Feo! Please remember that chairs, ice chests, glass bottles, and aluminum cans/bottles are prohibited in Market Square during Fiesta. The Rey Consejo Educational Foundation is a membership-based nonprofit founded in 1982 by Rey Feo XXXII Logan Stewart. The organization is comprised of 20 former Reyes Feos and 125 business and civic leaders. The organization's mission is to uphold the traditions, increase awareness and support the efforts of the LULAC Council #2 Rey Feo Scholarship Program. Visit the Foundation's website at www.reyfeoconsejo.org. To learn more about our partner organization, the Rey Feo Scholarship Foundation, visit www.reyfeoscholarship.com. El Rey Feo was founded in 1942 by LULAC Council #2 to raise scholarships for deserving high schools students. The program has raised over $7 million in scholarships within the past 10 years.